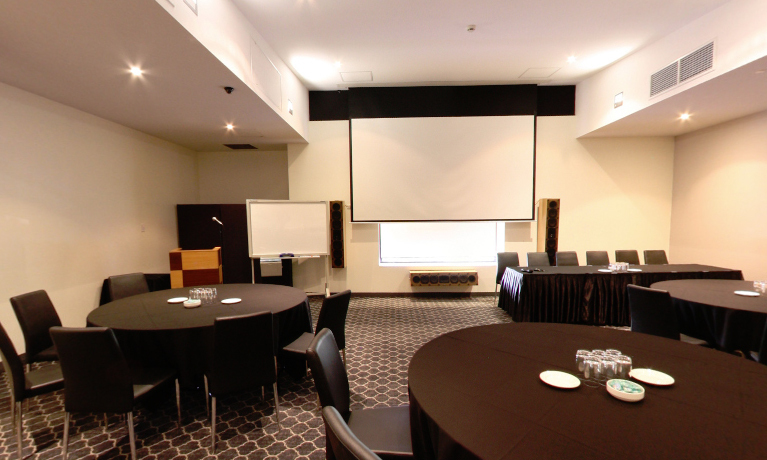 The Lakeside Room is the largest of the 3 main function rooms at the Mawson Lakes Hotel, with standing capacity for 110 guests, and seated capacity for up to 80. It boasts the same state of the art facilities, from projector screens for presentations through to a quality audio system and all the conference facilities required for the most in-depth seminar or business meeting. There are dedicated function managers who can help you plan your event from start to finish, and have the experience and customer service to help you get the most out of your event. It is the perfect venue to hold a wedding reception, with quality fixtures and equipment available, from table centrepieces through to chair covers. For larger wedding receptions, the adjoining Edgewater and Varsity rooms each have retractable walls, allowing the whole venue to be opened up to cater for seated wedding receptions with 250 guests.